Dr. Muhammad Feteiha is a leading bariatric surgeon in New Jersey. Since 2001, Dr. Feteiha has led the weight loss surgery team at Advanced Surgical Associates. He is the Director of Minimally Invasive Surgery and Chairman of the Surgical Care Review Committee at Overlook Medical Center in Summit, NJ. Named as one of Castle Connolly Top Doctors NY Metro Area and one of New Jersey’s Top Doctors for the last several years. 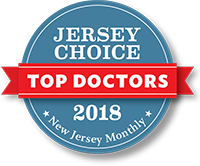 Dr. Feteiha was named a New Jersey Monthly Jersey Choice Top Doctor in the November 2017 issue of the magazine.